Thunderstorm activity was common throughout Southeast New Brunswick in June and all but ten days had at least a trace of rainfall. But precipitation amounts were generally light in Greater Moncton except for two major rain events – 36.6 mm fell on 09 June along with a peak wind gust of 102 km/h and 21.2 mm fell on 24 June. Temperatures were cool during the first week of the month with an overnight low dropping to the freezing point although frost was generally avoided thanks to cloudy skies. Summer-like conditions arrived by mid-month and many daytime highs climbed well into the 20’s C and reached 30 C or higher three times. The passage of a cold front created thunderstorms across New Brunswick yesterday from west to east. A brief storm cell moved through Greater Moncton late in the afternoon with ominous clouds and a short downpour. The cold front has been replaced by cooler, drier air today with a seasonable high of 22 C today in Southeast New Brunswick. Summer officially arrived in New Brunswick today at 1:24am. The sun has reached its northernmost point over the Tropic of Cancer and now begins moving southward which will gradually shorten days. The solstice is celebrated in Stonehenge, England where the U.K. Met Office says a record high today of 32.3 C near Gatwick Airport is the warmest first day of summer ever. A massive forest fire in central Portugal has claimed more than 60 lives and injured dozens of others with hot, windy conditions fanning the flames. Many died in their vehicles trying to flee the blaze while others died from smoke inhalation. Portugal has declared three days of mourning in what has been called the worst human tragedy in recent times. More than 2,000 firefighters are on the scene with help coming from Spain and across Europe. Officials believe lightning started the fire on Saturday in the mountainous area of Pedrogao Grande, northeast of Lisbon. Although I walked along Parlee Beach earlier this spring, my first official beach day of the season was a visit to Aboiteau Beach in Cap-Pele yesterday. 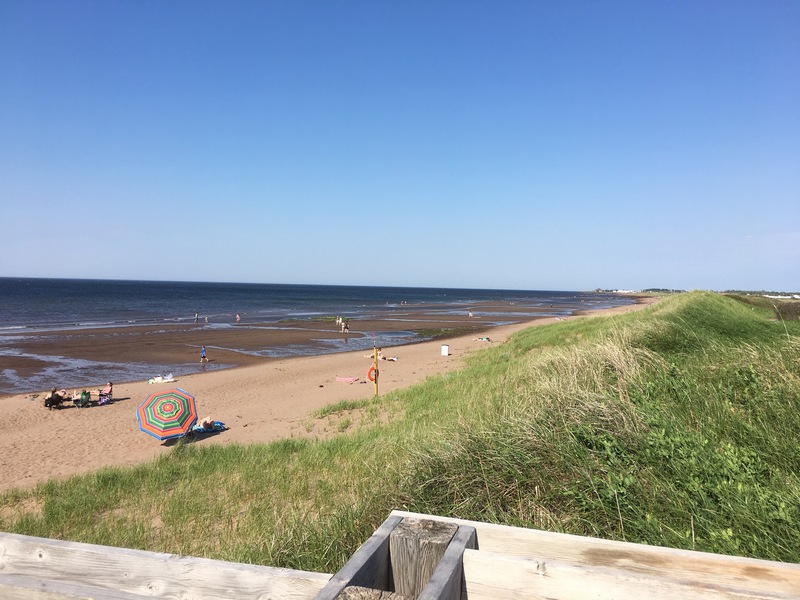 Under a mostly sunny sky, the afternoon high soared above 30 C although the water of the Northumberland Strait was a lot cooler. Signage indicated the water quality was good for swimming. The only minor downside was the wind which at times gusted to more than 80 km/h creating mini sand storms on the beach. A low pressure system moved into the Maritimes today bringing up to 40 mm of rain to Greater Moncton. 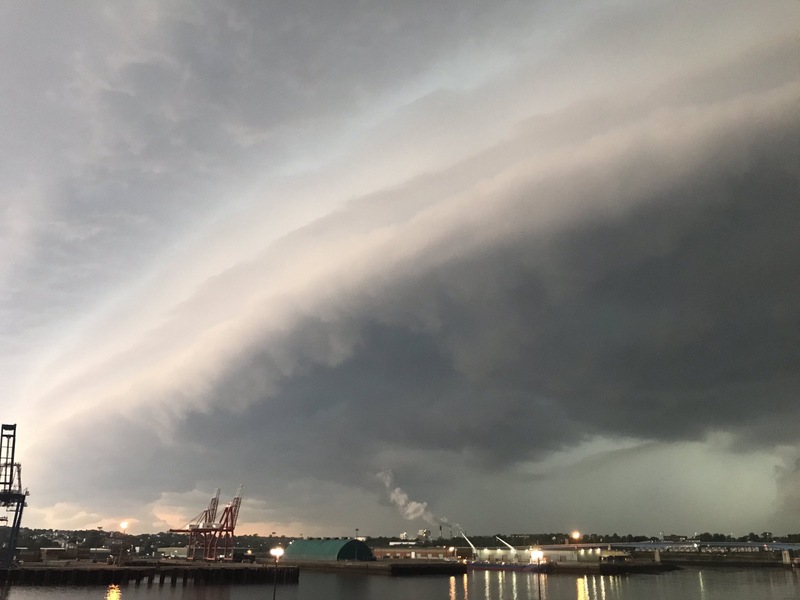 A strong thunderstorm also rolled through Southeast New Brunswick in the early evening with wind speeds clocked as high as 102 km/h. The brief but powerful gusts downed trees and branches onto power lines and caused thousands of power outages. 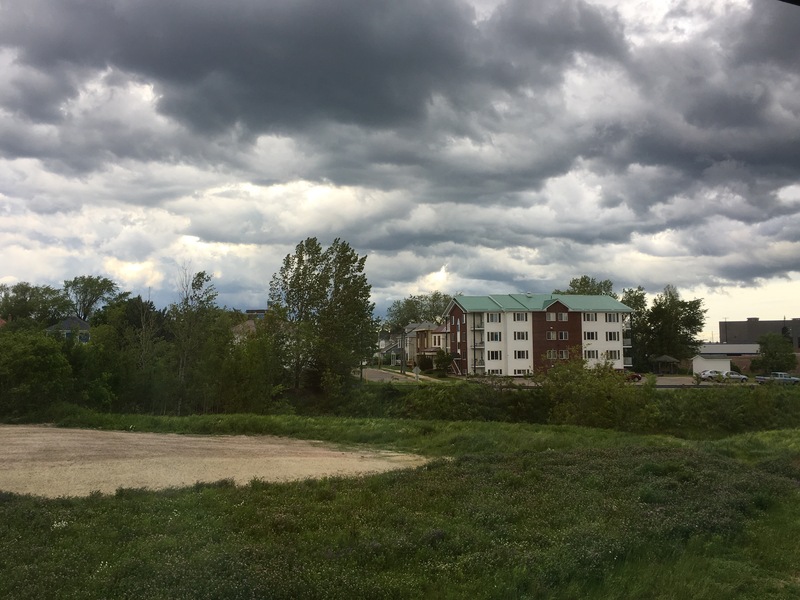 Environment Canada had not issued any weather warnings for the region. The storm replaced a warm air mass which set record highs in at least four New Brunswick communities yesterday. 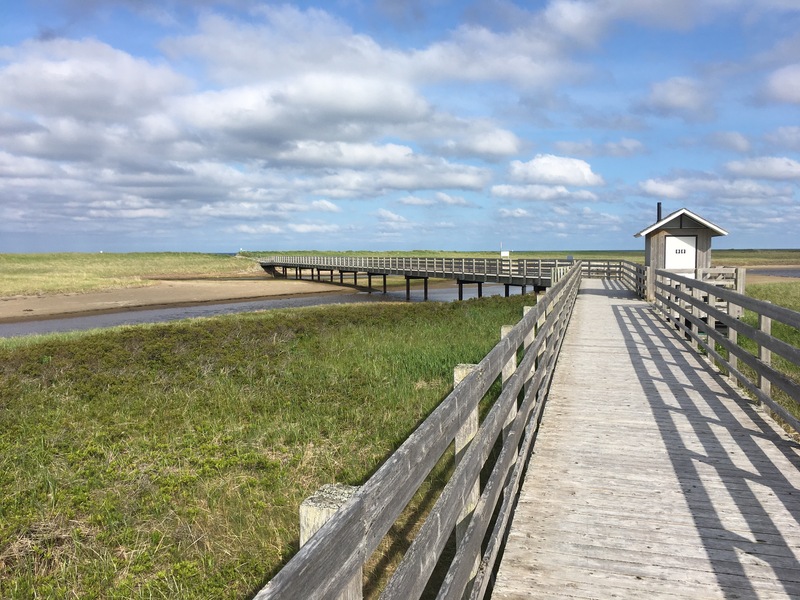 The hotspot was Kouchibouguac National Park which climbed to 32 C and that beats the maximum from 1992. Moncton and Doaktown both tied their record highs of 30.6 C for the date. At least one New Brunswick location dropped to a new low on 06 June. Environment Canada says Kouchibouguac National Park set a new cold record of -1.7 C which broke the old minimum of -1.1 C from 1958. 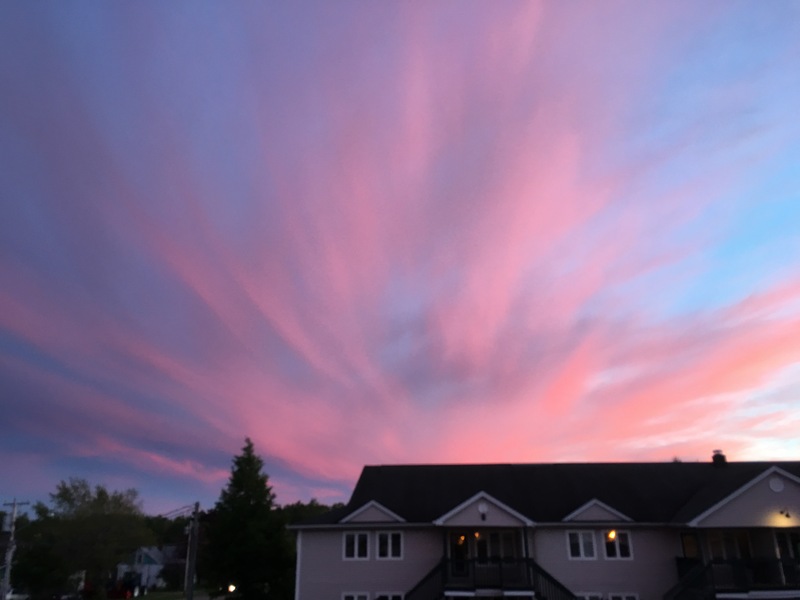 Greater Moncton managed to escape frost this week thanks to cloud cover although the thermometer fell to the freezing point tying a record low. Following a brief period of very warm air, forecasters say temperatures will reach near seasonal values for the short term.